A further evidence session on Sir Harry Burn’s Review of Targets and Indicators took place in the Scottish Parliament on the 9th January 2018. I have expressed before that I share the Convener’s impression of Sir Harry Burns’ Report. Like the Convener, I also noted Sir Harry Burns’ deference to the “folk up the hill”. Here he was referring to senior Scottish Government officials. 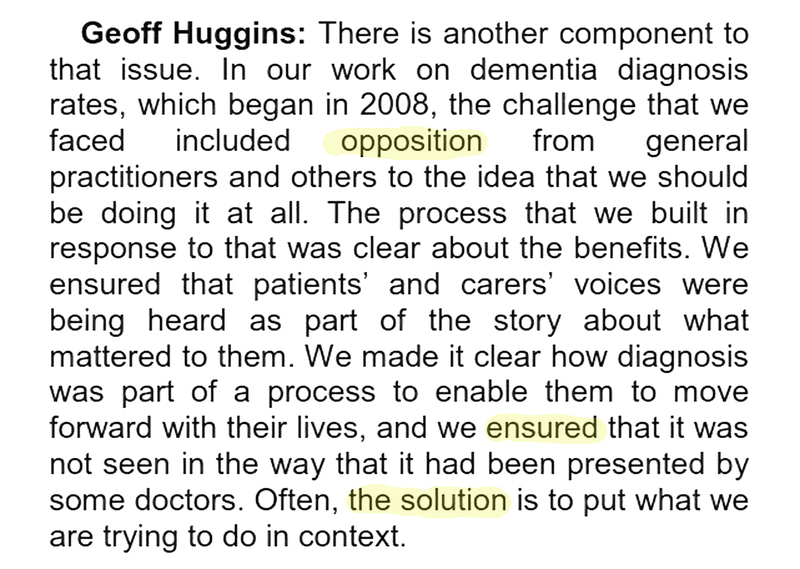 One of those senior Government officials is the Director for Health and Social Care Integration, Geoff Huggins, who was previously Director for Mental Health. Mr Huggins confirmed that his Department will be “working to develop a next-stage process” of Sir Harry’s Review into Targets and Indicators. It is interesting to reflect on the language used here as it appears to suggest that any “opposition” to the Scottish Government’s approach must be dismissed as not part of the “solution”. On a matter as complex as targets and indicators it is important that any government fulfils its promise to listen to all perspectives.